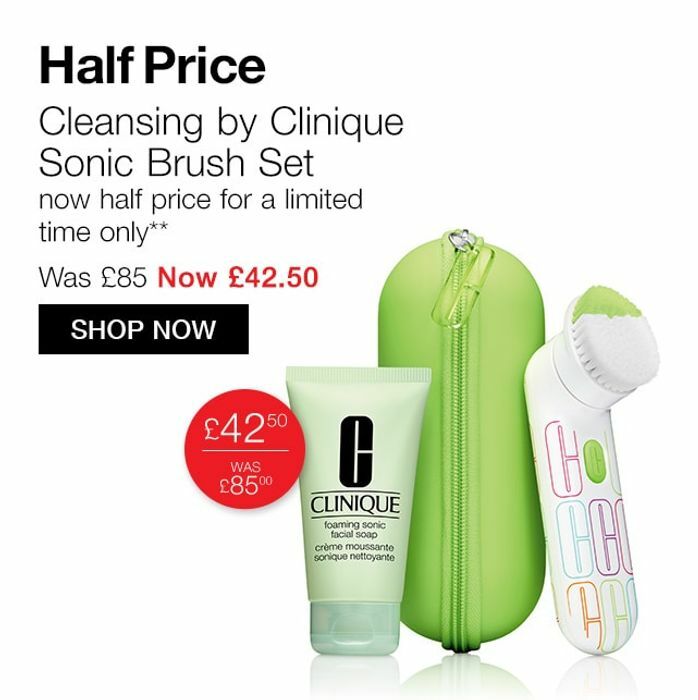 Clinique Sonic Cleansing Brush delivers a steady vibrating motion to lift makeup, dirt and oil. Limited-edition design. Foaming Sonic Facial Soap cushions with a creamy lather so the Brush glides easily, cleanses gently. Removes dirt, excess oil and impurities to reveal smoother, clearer skin. Gently helps remove the stress of pollution so skin looks younger, longer. Leaves skin feeling soft and comfortable. Travel case makes it easy to cleanse on the go. Give the gift of great skin. The perfect gift for the skincare fanatic in your life. What do you think of this Clinique deal? Thanks for sharing that's a great price.